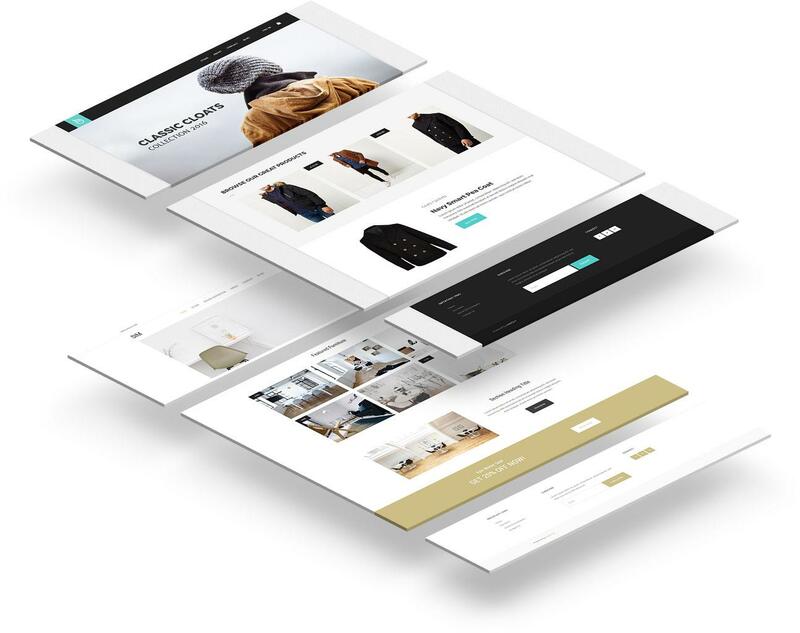 Alright, below I'll explain how to start an online business by creating an online store covering the most important stages in the process. Is there a demand for my product? How do I reach to these potential customers? If you haven't answered to those questions you are destined to a failure from the start. Create a small research, figure out what your main plan is going to be and then start with creating your online store. 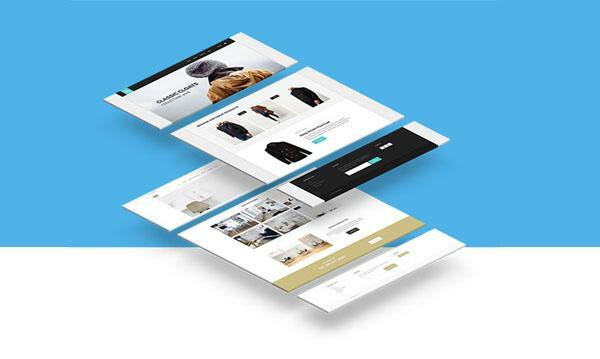 Ok, you already have your goods, either physical, digital or services and you want to proceed with creating a website to sell them. 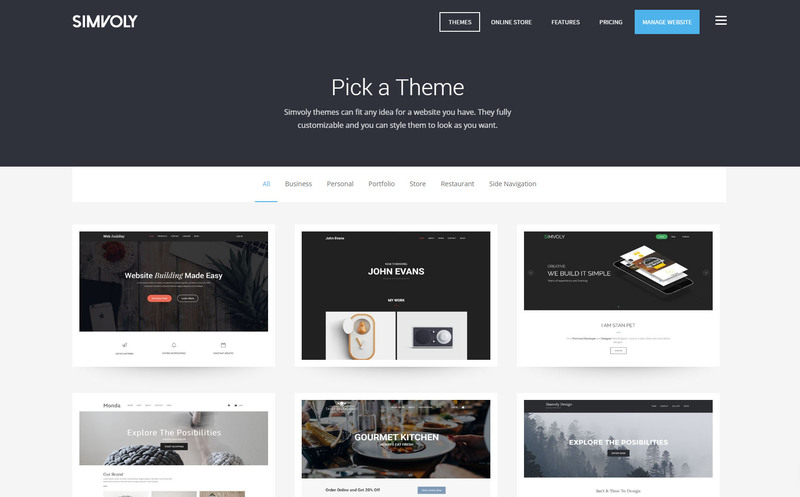 By going to our themes page you have access to 40+ beautiful and professionally made website templates for any purpose. You can select 'Online Store' for the ones we specially designed with that in mind. All websites in Simvoly have a Free SSL Certificate, an absolute must if you want to sell anything online. Homepage - This is the main page that people see when they enter your website. It's the most important page to grab their attention and to have them interested in your product or service you want to sell. What they see in their first 10-20 seconds will determine if they are going to stay or leave your website. So start with a nice background and heading that is straight to the point with what you sell or want them to know about you. Almost all of our theme start this way - nice image and text about the business and maybe a call to action button. You can find a variety of sections like that in our 'Headers' block sections. After that, you can add a promotional banner, store categories or popular/category products to show what your store has to offer. 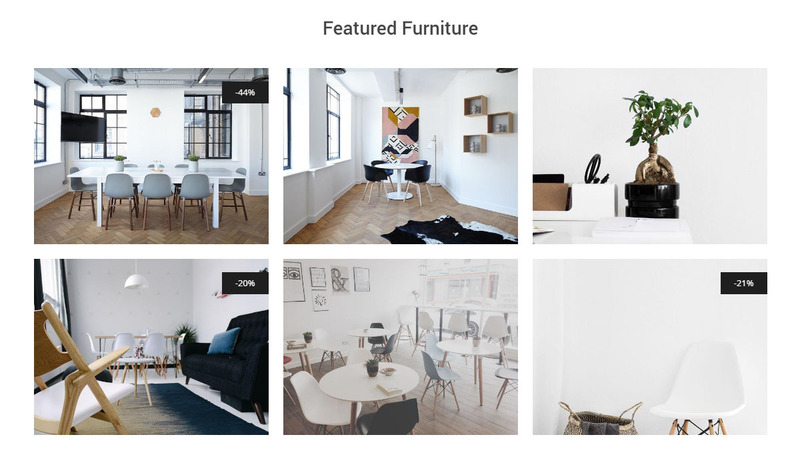 You can add products to the 'Store' widget and select to show them in grid or carousel format. It's very easy and fast to edit and change settings, layout and switch between products. After that, you can add a section to highlight something unique (if there is) about your product or service, an image and some short explanation text is more than enough for the homepage. The idea is to highlight the essentials of your product, grab the visitors attention and help them understand who are you and what are you offering. Store Page - This is your product or service list page where all your products are displayed. 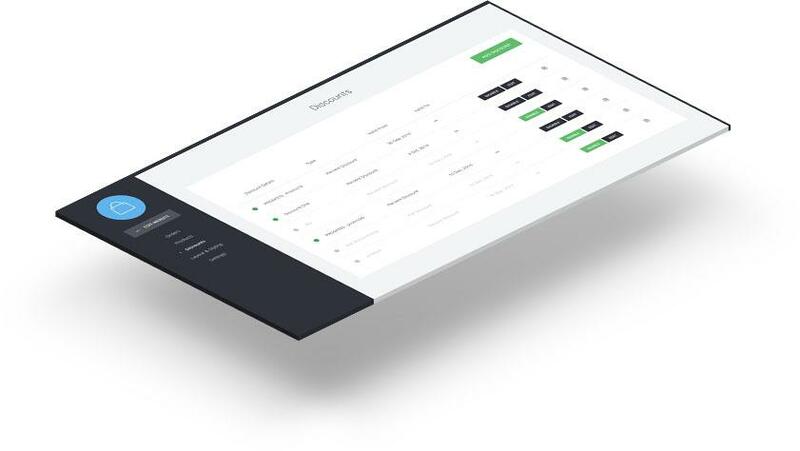 It is straight forward and your products automatically show on this page when you add them in your website dashboard. 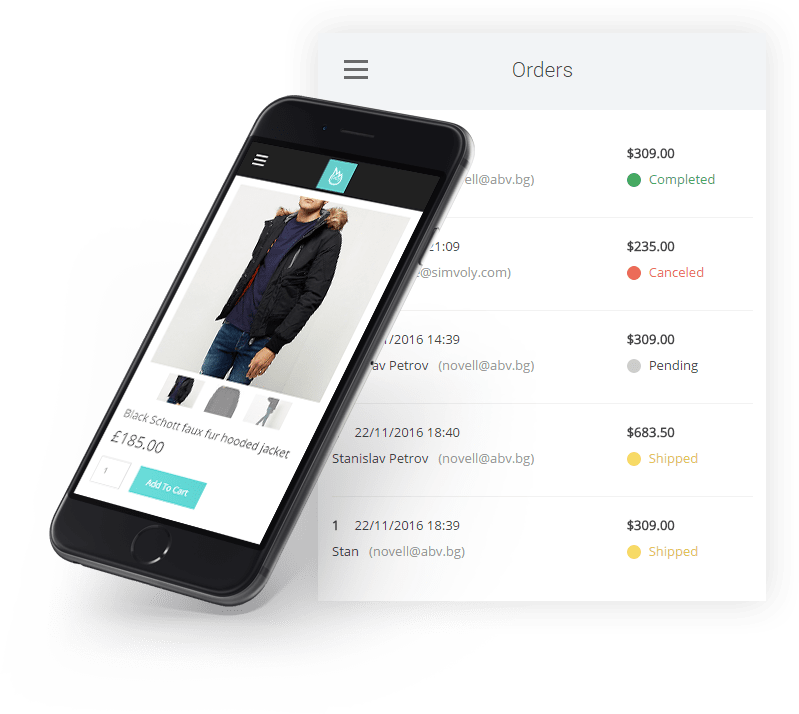 You can adjust different settings such as - layout (the different styling of how your products will look on this page), the number of items per page, quick cart or product views for faster customer interaction to make it easier to order. I want to talk more in detail about adding a new product. It's important to have a fairly short name with a more detailed description of your product. Nice images are always a plus, show the quality and different variations of the product in hand. You can include a Stock Keeping Unit, keep track of your inventory and weight if it's a physical product. You can assign one product into different categories and subcategories and create new ones directly from the product page. If you have variations you can do that from the final section The nice thing is that you can set different price, the amount of inventory and SKU for each of the variations. Finally, you can add SEO keywords and description for your product's page. The keywords are not that important but the description is the one that is going to show be displayed in google for that product page. So keep it under 150 characters and include the most important things about the product in hand. 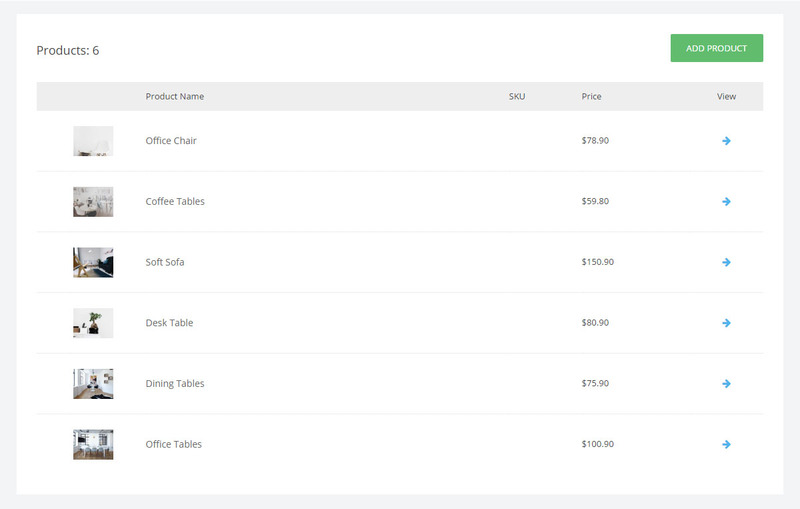 From the 'Orders' tab, you can monitor and control the orders that are made in your store. You can view a detailed info about the order, payment information and the ability to cancel, mark as shipped or completed. Simvoly is mobile friendly and you can control and keep track of your orders directly from your mobile device. Members - You can allow visitors registrations to keep track of your customers and promote different products to them. You can also assign members into groups with different access levels or promotions. Discounts - it's a nice selling point showing that there's discount on certain products or categories in your store. You easily create all sorts of discounts and discount codes for promotional purposes. Another great thing is that you can assign a discount to a certain member group that you've created. Example: let's say you create a member group that is called PREMIUM, you can create a 20% discount for all PREMIUM members in this group. Contact page - Every website, not only the online stores, should have a dedicated contact page. It shows that you are trustworthy and your visitors can fill the form and get in touch with you. It's nice to include a phone number, social media buttons and maybe a map if you have a store location. Every website theme in Simvoly has an included contact page. You can get email notifications when someone fills the form or review the message in the Simvoly's dashboard. About page - About page is not mandatory but it's also a nice thing to have. You can write a few word about who you are as a company and what you send for, it helps you connect better with your visitors and potential customers. Blog - It's a very nice thing to have if you have something interesting and useful to say. A nicely written blog can really skyrocket your online store and bring a lot of customers. Simvoly made the whole process super easy with simple blog interface and the ability to add whatever you like in your posts. For a detailed guide, check out How To Start A Blog: Everything You Need To Know. 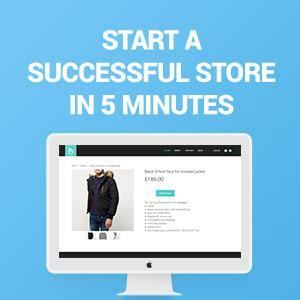 To sum it all up, if you haven't started your online store, you can do it now at no time at all. It's fast, easy and you can start selling today. Simvoly is a place that supports small and growing businesses, we try to help you achieve your goals and create a stunning online presence. 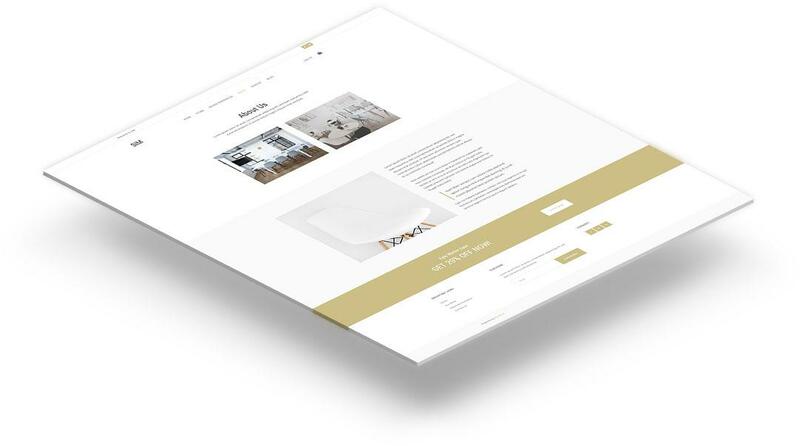 You can check out our beginners guide on How To Create A Professional Website Under An Hour. It explains in detail the essentials and how to work with the builder. Don't miss out on our weekly tips and guides on how to build and grow your business online.